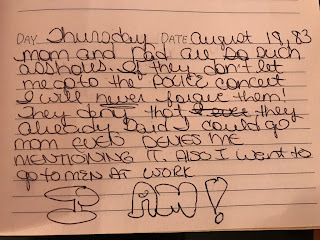 I've been reading through my childhood diaries lately. It's so fun, and so funny. And, it's reminding me of things I hadn't thought about it a long time. I love looking back at them with my now adult perspective on things. I seriously find the whole thing fascinating! I shared it on my Facebook page, and lots of people chimed in and left funny comments. It seemed that most people could remember what it felt like to be an angsty teen, or in my case, pre-teen. One person left a comment that just rubbed me the wrong way. She said something to the effect of, "Ugh, I threw out all my old things from Jr. High and High School years ago to save my kids the burden of one day having to go through all that. Memories are good enough. 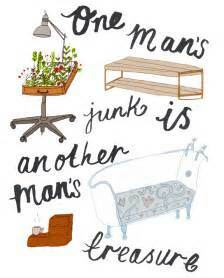 I don't need that junk." Wow. Thanks, Debbie Downer. 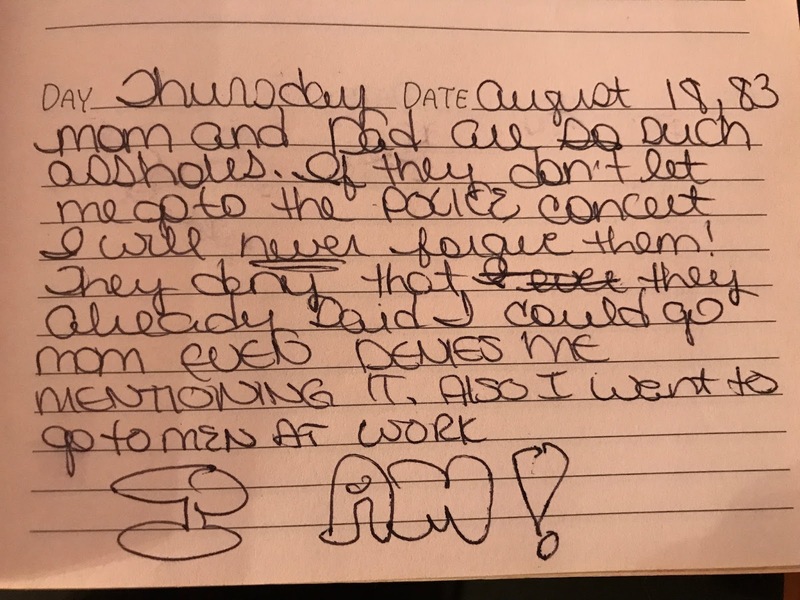 I now realize that contrary to what I thought when my parents told me I couldn't go to the Police concert, they were NOT assholes. But you are. I am so thankful I've held onto these old keepsakes. I don't have a great memory on some things, and so I am devouring this stuff as revisit my youth. I've saved diaries, tons of photos, and important letters- including so many love letters between Fermin and I. It's all taken up some space at the top of my closet that I wouldn't have used otherwise. It's not cluttering up the place or anything like that. And if I were to die tomorrow, I don't think anyone would feel burdened by these things- They can just throw out the boxes I keep everything in if they want. Not a big deal. Anyway, I agree with Debbie Downer that memories are great to have. But you don't get to keep all that many, really. I have run across so many little stories and memories I never, ever would have remembered if I didn't have these things. I feel so lucky to have held on to it all. It's a gift I gave to myself, and I really didn't even realize it as I did it. This may look like junk to someone else, but it's not that to me at all.